Desiredsleep » Blog » Posts » Why Do I Get Morning Headaches? A good night’s sleep is meant to relax, refresh, and have you awakening feeling well-rested. So what’s with the headache you suddenly feel upon opening your eyes in the morning? There is no sensation quite as unpleasant as waking up with pain, and it can set the tone for your whole day. Your question: “Why do I get morning headaches” will be addressed below and with this, we hope to give you a better night’s rest. Both depression and anxiety disorders have been commonly linked to headaches in the morning. While the link is definitely there, researchers are still attempting to figure out exactly what it is that causes the pain. The most common theory is the involvement of chemicals or neurotransmitters. Neurotransmitters help transfer nerve impulses in the brain, and serotonin, dopamine, and norepinephrine play a big role in the link between headaches and depression. With one of these chemicals being off-balance, depression and/or anxiety can over-take the body and mind. These stressors are what is seen as the link between headaches and the disorder. Partaking in healthy activities such as exercising, doing things you love, and being around people you care about can help lower the affects of depression or anxiety, and may help you have a better night’s rest. Sleep apnea is a common cause for headaches in the morning. Increased incidences of sleep disturbances cause headaches, pressure, or pain upon waking up. Since REM sleep is the most important cycle of sleep we get during the night, disturbances or absence of this can cause stress on the body, resulting in morning headaches. Also, just generally being extremely tired from a lack of sleep can cause headaches as well. Disturbances in the functioning of blood vessels and flow causes headaches, and with a disrupted sleep pattern, the blood flow is not in its normal function, causing the pain upon waking. Getting help with sleep apnea and treating the condition effectively will ensure you get a better night’s sleep, and therefore eliminate morning headaches. Understanding the problem and addressing it promptly will stop you from asking “why do I get morning headaches” and will rather have you enjoying your day. 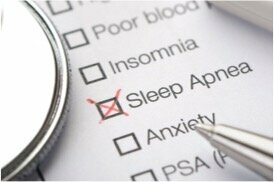 Contact us for a consultation and find out if you suffer from sleep apnea.